Remember our infanthood when we lay in our mother’ bosom and listened to her lullabies? What happy times they were. Now we have Master Ching Hai’s songs about our Mother God’s love. Every word rings with Her blessings and loving reminders. These words quench our yearning for God’s true love. 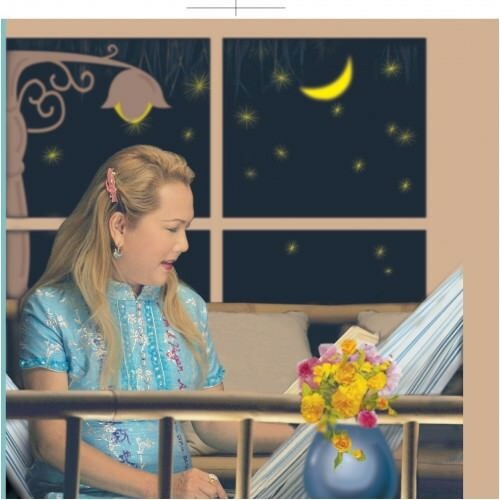 The song, you can hear Master Ching Hai’s Good Night Song that She sings to Her beloved pet dogs, Blessing Song that she sang at the Formosa Musical Concert via videoconference and Divine Song that she tearfully sang to disciples at a gathering at France. “Good night, my love! Have a sweet dream!” “God loves you so! I love you more!” These are the eternal promises and blessings Mother God speaks to Hiers beloved children. “please remember and be happy! No matter what happens in the world, You are in safety, forever and ever.” God’s love is ever so tender, so pervasive! This album of original songs was sung by melodious voice of Supreme Master Ching Hai. The songs were sang in response to the audience’s request in different settings and according to the atmosphere of the gathering. All the lyrics and music were spontaneously composed, with no rehearsal or pre-written lyrics, equipments, or studio quality and the sound track was also recorded on the spot with no prior planning or preparation. Through simple and beautiful melodies, Supreme Master Ching Hai tenderly sang Her heartfelt love in every possible aspect to the multitude of sentient beings. She also reminded us to remember God at any given time. The exquisite melody and the deep love stunned and moved the entire gathering. May every soul that yearns for God listen carefully with a tranquil heart and enjoy the baptism of the supreme divine love. 3.God Loves You So !